Your Oregon City dentist has noticed there’s something stirring in the air that’s causing people to lose all self-control. Many of its followers stand bleary-eyed, focused only on finally getting their hands on what they’ve been eagerly awaiting for what can seem like a lifetime. The devotion it inspires has created its own subculture of followers who celebrate its arrival through song and celebration. No, we’re not referring to some unspeakable horror conjured by the Halloween season. We’re of course talking about the annual return of Starbuck’s Pumpkin Spice Latte. The problem with this seasonal treat isn’t that the artificial flavors in the drink don’t actually contain any real pumpkin, but that the beverage is really more of milkshake that, in the spirit of the season, masquerades as a cup of coffee. Just take a look at the nutritional facts from Starbucks’ own website. If you get the smallest cup (8 oz.) and non-fat milk and no whip, you can get the number of calories down to a still steep 130, or the calorie equivalent of 3 ounces of chicken. If that doesn’t sound like your cup of seasonally marketed coffee, you might feel tempted to order a 20-ounce, full fat latte with whip. Make that decision and you’ve agreed to consume 510 calories in just one cup of coffee. Of course, what troubles your Oregon City dentist about the Pumpkin Spice Latte isn’t the number of calories the beverage contains, but just how much hidden sugar one cup adds to your diet. Since the latte was launched in 2003, Starbucks sold over 200 million in just the first 10 years of marketing the product. Heck, the Pumpkin Spice Latte Twitter account has over 112,000 followers. This makes it hard to say that anything about the PSL could be considered surprising. However, many of the beverages fiercest fans remain unaware of just how much sugar the beverage actually contains. Just one Grande cup contains a remarkable 50 grams of sugar! In fact, even if you were to order a nonfat, no whip version, you’re still ingesting 49 grams of sugar. The American Heart Association recommends women limit themselves to 6 teaspoons of sugar a day, while men limit themselves to about 9 teaspoons a day. One teaspoon equals 4 grams of sugar. That means one regular Grande PSL contains 12.5 teaspoons of sugar, or double the daily recommended amount for women and one-third more than what men should consume. That’s a remarkable number that can have a serious impact on more than just your waistline. While brushing and flossing daily, along with regular dental appointments with your Oregon City dentist, rank as vital parts of maintaining any protecting your long-term oral health, diet can play an equally important role. Plaque – a stick biofilm that clings to the surface of our teeth – uses the sugars we consume to produce harmful substances that slowly erode away the hard outer layer of our teeth called enamel. Over time, plaque can wear holes in our enamel that allow the bacteria to reach the delicate interior of our teeth where its secretions begin to destroy the structures that hold our teeth together. This can lead to the development of cavities, dental disease and potential permanent tooth loss. To reduce the impact plaque can have on our oral health, it’s important to consume a balanced diet that avoids excess sugar. This, unfortunately, places beverages like the Pumpkin Spice Latte squarely against what’s considered good for your oral health. 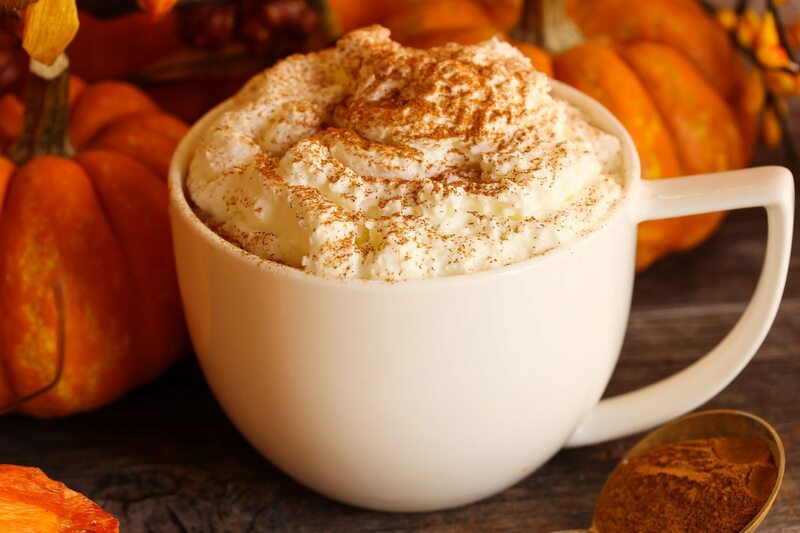 While avoiding this seasonal temptation may prove too difficult for some, you can find room for the PSL in your diet if you make other concessions. On days you consume a PSL, try cutting back on eating other sugary items like sodas, cookies, pastas and white breads. Also, make sure you thoroughly brush your teeth immediately after finishing your latte. If you don’t have the time to brush, at least rinse your mouth thoroughly to remove as much residual sugar as possible from the surface of your teeth. Chewing sugar-free gum after a latte can be one convenient way of scrubbing the surface of your teeth while increasing saliva flow capable of washing the sugar way. It might be hard to hear that the PSL isn’t the wonderful gateway to fall we’ve all come to love. However, knowing the risks and taking care to balance the impact this highly sugary beverage can have on your oral health can help keep your smile looking its best the rest of the year.